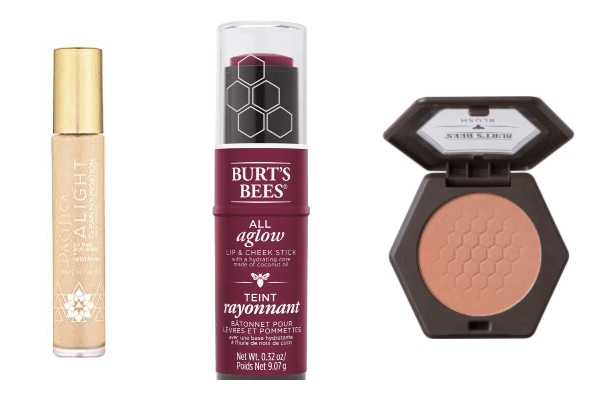 Clean beauty products have become a must have in my makeup bag but they can be so expensive! I have found some of the best affordable clean beauty products you will want to grab on your next shopping trip. The term, “clean beauty”, isn’t regulated so you have to make sure to read the ingredient lists on your makeup products. When an item is labeled a clean makeup product, that usually means it is free of controversial ingredients like parabens, sulfates, and phthalates. These are the substances that are linked to harmful health effects like hormone disruption and skin irritation. Some makeup brands will label their product as clean, non-toxic, and natural but they really aren’t. It is up to you to fully read the ingredient labels. Our beauty products sit on our faces all day so we want them to be as healthy as possible. That can be easier said then done when you are on a budget. When I started my search for clean beauty products, I found that most started at $30. I can’t afford to pay $30 for a lipstick or $60 for my foundation. I needed to find more affordable clean beauty products. I know that others may be struggling with the same problem so I wanted to share a list of my favorite affordable clean beauty products for you to check out. These are the ones I found that are less than $25 and have great quality. I really like the Pacifica Alight Clean Foundation. It comes in 30 different shades so you are sure to find the right match for your skin tone. 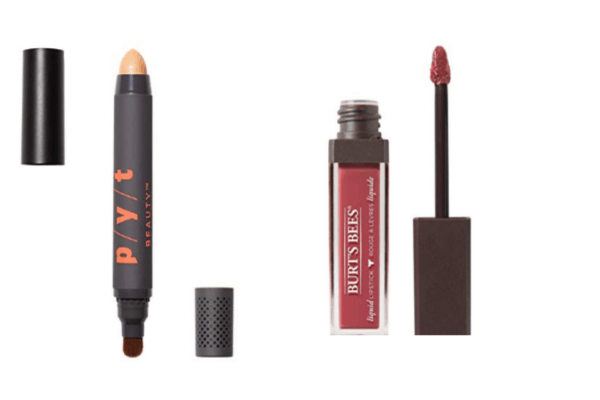 I’m a huge fan of Burt’s Bees makeup. They are a great brand to check out when looking for affordable clean makeup. They also never test on animals. 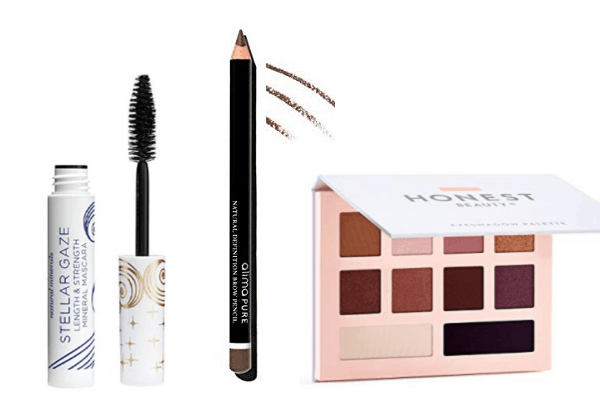 Honest Beauty is another great affordable clean beauty brand. I really like the Everything Eyeshadow Palette. A mix of mattes, shimmers and satins and free of Parabens, Paraffin’s, Talc, Mineral Oil, Silicones, Petrolatum. Finding an affordable natural concealer can be a challenge. I was happy to find the P/Y/T Beauty All or Nothing Concealer. It is available in 11 different shades. The formula is long lasting and it has great reviews on Amazon. The HAN All Natural Bronzer is the most affordable clean bronzer I have been able to find. It comes in 3 different shades and are 100% vegan and free of animal cruelty, GMOs, and parabens. There are two brands that are my go-to when it comes to clean nail polish, Zoya and ella + mila. Ella + Mila are around $11 and are certified by PETA. They are 7-Free products that do not contain: Formaldehyde, Toluene, DiButyl Phthalate (DBP), Formaldehyde Resin, or Camphor. 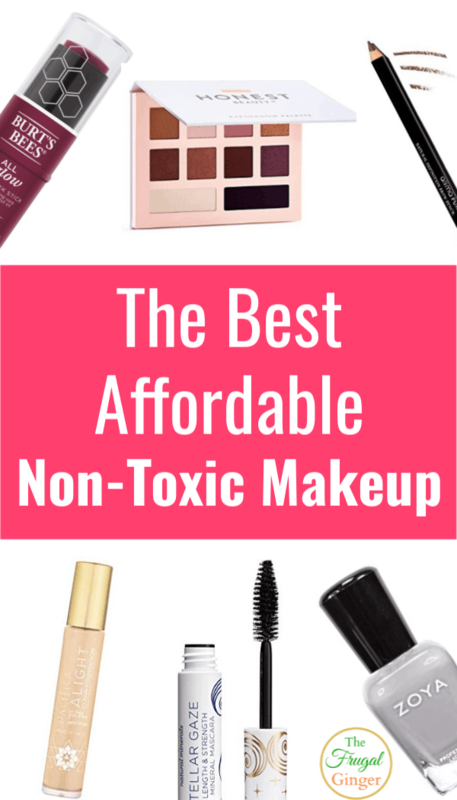 Hopefully this list will give you a good place to start when you want to shop for affordable clean beauty products. No need to rush out and get everything at once. When you run out of a product just replace it with a clean product and before you know it your makeup bag will be clean and natural.